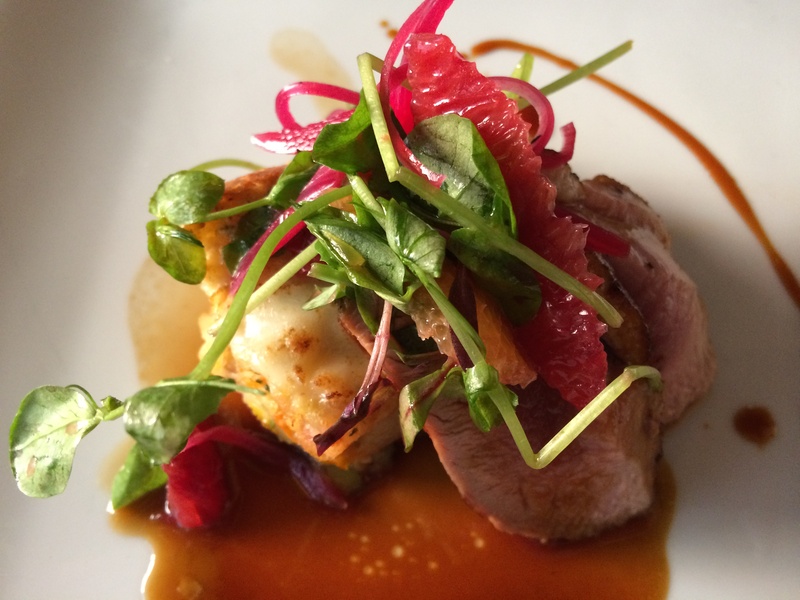 Kevin and I got hooked on the whole Dishcrawl idea after participating in a Paleo Dishcrawl here in town last November and having a blast. 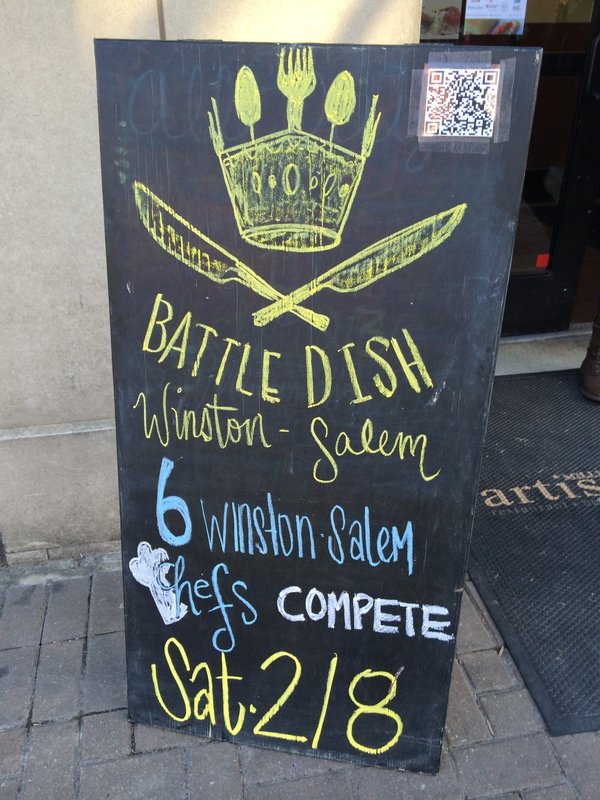 So we were quick to sign up when we started seeing publicity for the latest Dishcrawl event in our area: Battledish Winston-Salem. The idea? 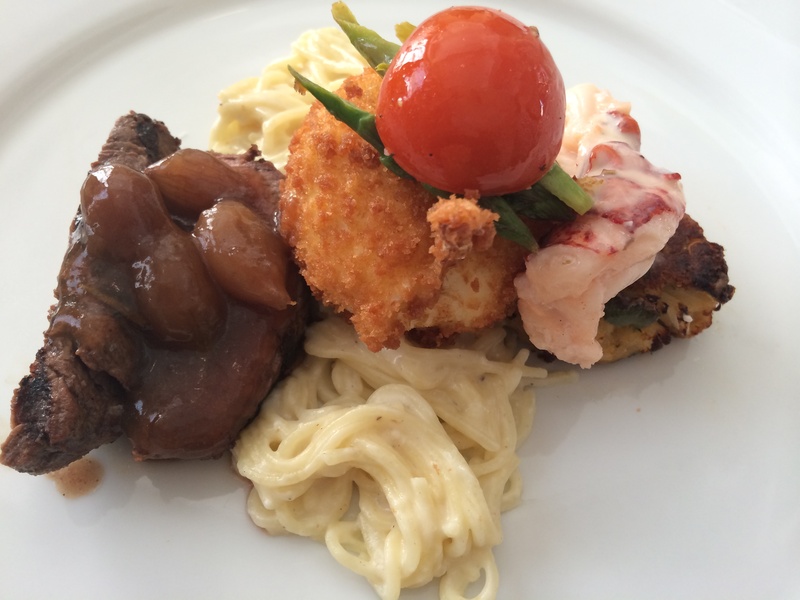 Six restaurants signed on as contestants, each crafting a cocktail and entree (scaled down to more of a tasting size) to enter into the competition. Participants signed in at a certain restaurant (Spring House) and then were free to move from place to place, trying out dishes and drinks at the various locations. 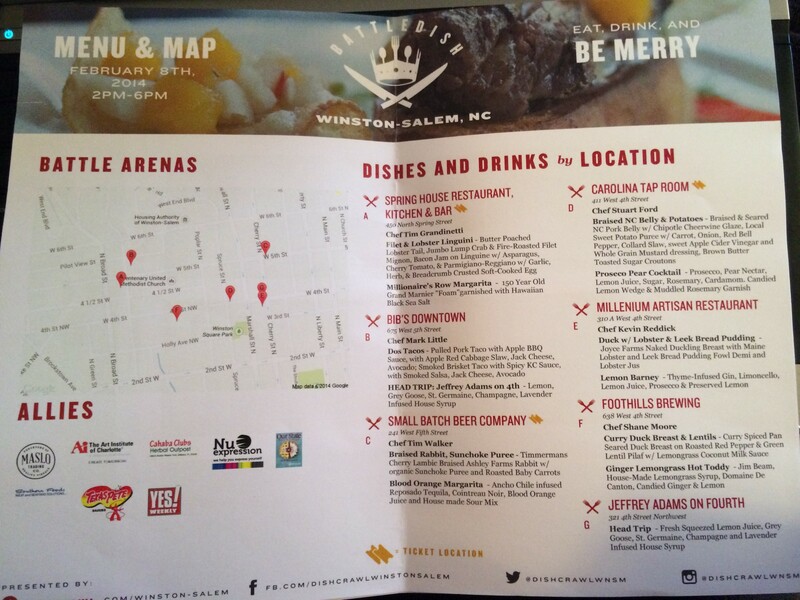 Just one more example of ways Winston-Salem’s getting to be a really awesome little city these days. Not a bad way to spend a Saturday, I must say! My favorite cocktail of the bunch was the Blood Orange Margarita courtesy of Small Batch Beer Co. (Seriously delicious, Small Batch — can this be added to the permanent drink menu rotation?) 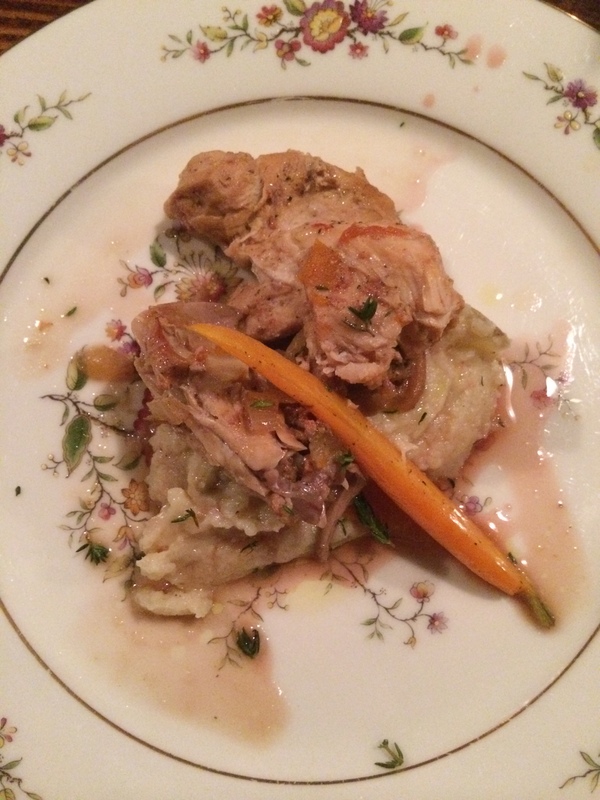 Their Braised Rabbit with Sunchoke Puree dish was also wonderfully tender and tasty. 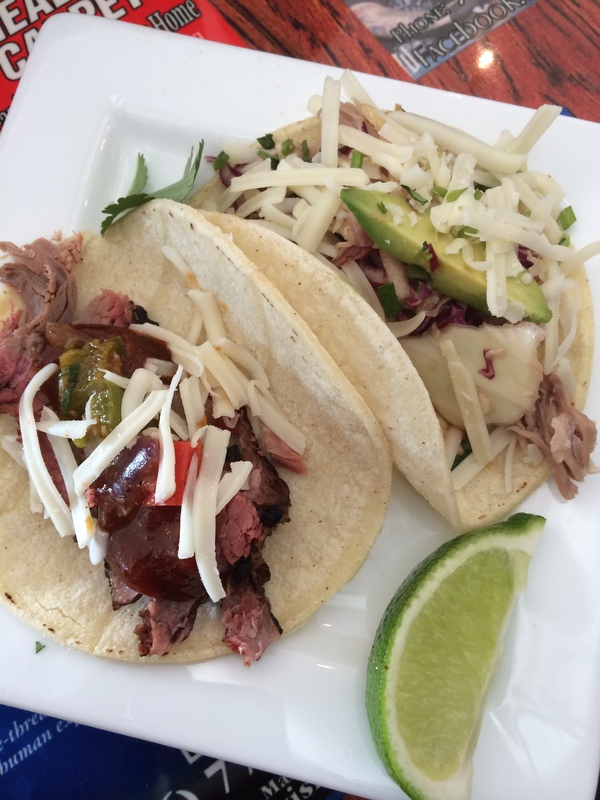 Though the service at Bib’s Downtown (a great barbeque joint) was on the slow side, their Dos Tacos dish (with one beef brisket and one pulled pork taco) was worth waiting for, and I gave them my “Most Authentic” dish vote.